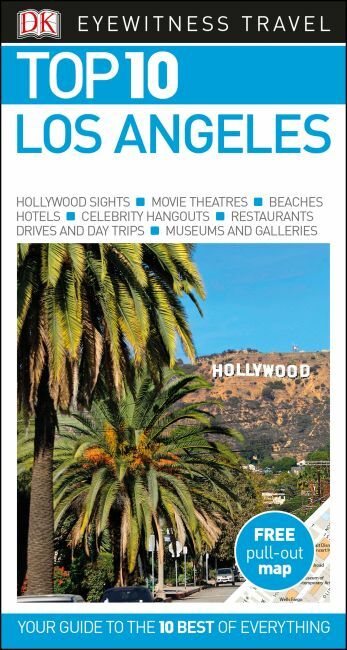 An unbeatable, pocket-sized guide to Los Angeles, packed with insider tips and ideas, colour maps, top 10 lists, and a laminated pull-out map - all designed to help you see the very best of Los Angeles. Go hiking in the Hollywood Hills, spend time on Venice Beach, explore Beverly Hills or visit the Los Angeles County Museum of Art. From Top 10 beaches to the Top 10 movie theaters - discover the best of Los Angeles with this easy-to-use travel guide. - Top 10 lists showcase Los Angeles' best attractions, covering Venice Beach, the Getty Centre, Pasadena, Hollywood and more. - Covers West Hollywood and Midtown, Santa Monica Bay, Downtown, Coastal Orange County and more. Staying for longer and looking for a comprehensive guide to the city? Try our DK Eyewitness Travel Guide USA for more in-depth information.